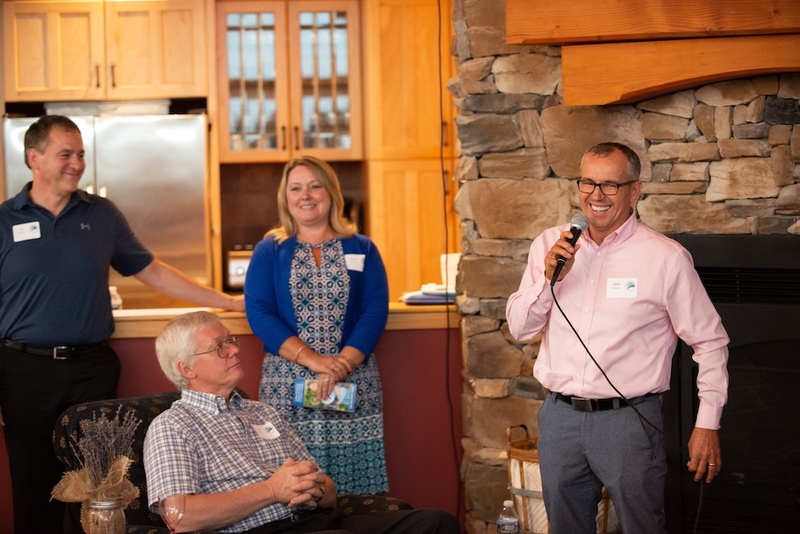 20/20 Circle members Jaime Mendes and Tiffani and Jim Christman speaking at the official launch party for the fund in June 2018. What is the 20/20 Circle? The 20/20 Circle is an innovative and lasting way to invest in making Carbon County a better place to live. The goal is to get 250 community members to pledge a one-time donation of $1,000 by the year 2020 to create the Carbon 20/20 Fund. Once the goal is met, Carbon County will have a permanently endowed fund of $250,000 from which we can award $10,000* in grants per year, forever. Donors become lifetime members and will be invited to an annual lunch or dinner to vote and help award grants from the 20/20 Fund to the most promising charitable projects in our community. We call it the 20/20 Circle because it is designed to be without end and to create a civically-engaged network within our community. Members will receive a 20/20 Circle decal to display proudly as well as recognition on CCCF’s website and in our annual report. Please contact us with any questions. Help build this significant asset for Carbon County. Fill out the form below or call 1-855-545-1311 and join today. 20/20 members meet annually to hear from promising charitable organizations in the region. These are selected through a competitive application process overseen by a volunteer committee comprised of members of the Circle. After a brief summary from each nonprofit, members vote and award $10,000* to the winning project. By working together through our donations, we can give more to the causes that matter most and have a bigger impact, year after year. The awards process can be shaped by the committee over time to adapt to ever changing needs in Carbon County*. Once you and other members build it, the Community Foundation ensures that this fund is here to stay in Carbon County forever. Help make our community stronger and join today! *Estimated award based on final goal and CCCF’s current distribution policy. Once established, the 20/20 committee may elect to give more or less or divide available funds, always with the intention to maximize community benefit. Become a Member: Join the 20/20 Circle! or contact the Foundation at 1-855-545-1311 to give your info personally or pay by check.